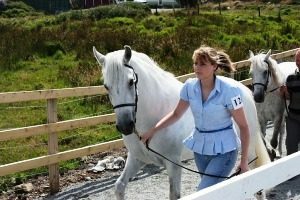 The 2019 Annual Roundstone Connemara Pony, Dog & Sheep Show takes place at the Showground. The main event, the Connemara Pony Show, consists of 20 in-hand classes showcasing all ages and varieties of Connemara Pony. A Dog Show and Sheep Show are also included in the day’s events. A great day out is assured for competitors and spectators alike.